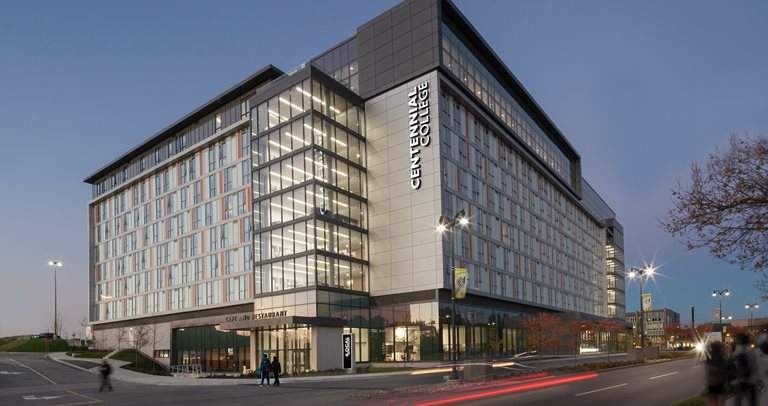 Located in the heart of the Centennial College Progress Campus, our all-inclusive, fully equipped STUDENT residence is Centennial College's sole student housing provider across all four campuses! Centennial Place offers study rooms, TV and movie lounges, a fitness room, outdoor space and much more! All suites include full kitchens, furnished living and bedroom spaces and access to over 20 purpose-built lounges located within the building. Exclusively available to Centennial College students, Centennial Place is the perfect spot to socialize, live and study! Centennial Place offers professional on-site management, secure, keyless entry and 24/7 security to provide you with the peace-of-mind you need so your academics can remain a priority!